Defeat at Murrayfield was largely self-inflicted but next up are a France side in disarray. How close did Scotland get to defeating Ireland? In truth not close enough, and they were largely the architects of their own downfall. Despite generating the quicker ball and getting over the gainline more effectively than their visitors, the Scots failed to do enough with the possession and territory they earned themselves. Fatigue fell heavily on both sides in the second half but Ireland - with fresh memories of winning Grand Slams and defeating the All Blacks - knew instinctively how to close out the match, while Scotland could not combine strategy with execution to breach the Irish defensive wall. Scotland made 226 tackles to Ireland's 172 - the majority of them were bruising carries by the Irish pack which punched the wind out of the hosts, little by little. 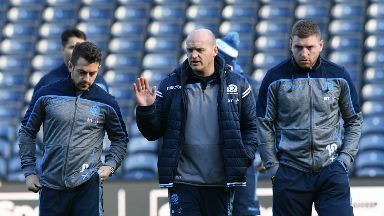 The talk all week had been what Scotland could learn from England's intense, attritional approach to win in Dublin but the truth was always that Gregor Townsend does not have the profile, the physical specimens, available to Eddie Jones to execute such a plan. What Scotland lack in grunt they make up for in mobility and guile and that has been the hallmark of the Townsend era team. Shift the opposition around the pitch and wait for the tired legs to produce gaps in defence. 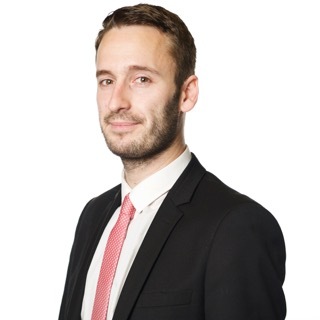 Studying England's performance will therefore be considerably more fruitful for Townsend and his staff this week, as Owen Farrell and company took France to the cleaners with razor sharp attacking at Twickenham. Travelling to Stade de France is next up for Scotland in just under a fortnight - enough time for head coach Jacques Brunel to straighten out some of Les Bleus myriad problems - but certainly not all of them. England's 44-8 crushing in the Le Crunch showed a France side helplessly vulnerable to kicks in behind, lacking in defensive cohesion and unable to structure attacks through phase play. 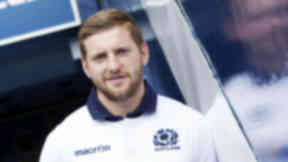 The conclusion will be inescapable for Townsend - get stand-off Finn Russell kicking in behind and let his wingers apply the pressure by chasing down the ball into the wide spaces the French were leaving in the backfield. 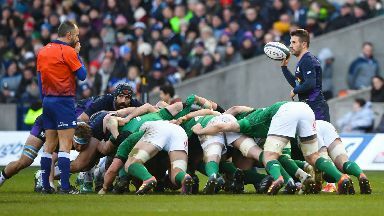 Keep quick ball to a minimum, just as they did satisfactorily to Ireland, and the Scots will have laid a platform for a first win in Paris since 1999. Across the English channel, fans and media alike have been clamouring for Antoine Dupont to start at scrum half and the 22-year-old looks likely to get his chance against Scotland as Brunel comes under pressure to blood the next generation in light of the failure of his reign so far. Selection decisions for Townsend will come out of necessity only. Influential back row Ryan Wilson will now be missing with a knee ligament injury, and star backs Stuart Hogg (shoulder) and Huw Jones (knee) both face a race against time to be fit. 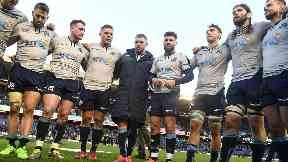 Without the depth of test match quality talent available to their rivals England, Ireland and even Wales and France, it badly damages the Scots chances when experienced frontline players go down. But with France in disarray in the wake of back-to-back defeats, Townsend can lead the dark blues to a victory if they can control the pace of the game, avoid silly errors and exploit some of the numerous weaknesses currently blighting the French.